As networks get faster and more complex, new performance issues appear. Conventional network monitoring takes too much time, that's why network analysts are looking for tools that not only help them get to the source of problems as fast as possible, but also optimize their workflow. So, how can we get from a broad view of the network to a pinpoint view of the traffic, anywhere, in seconds, drill down and find the potential weak spots, server congestion, ports usage and more? With a network traffic analyzer. Before getting into how this type of traffic analyzer can make a difference to your network forensics and troubleshooting techniques, let's talk first about the most common methods used these days: packet analysis and flow analysis. Packet analysis technology is widely used to dig down into what is happening over a network by focusing on the individual packets that cross your traffic rather than on the flow of the network. Even though this method generally provides the most insights into your network traffic, as complete packets can be captured and further analyzed, it also gives you huge amounts of data. This makes it almost impossible for you to take real-time decisions and immediately expose the worst-performing parts of the network. You need time to shift through a lot of data for evidence of an issue or an intrusion, just like finding a needle in a haystack. Also, in high-speed networks, packet analysis requires expensive hardware and substantial infrastructure for storage and analysis. Instead of giving you loads and loads of data that will also come with added cost, a flow-based tool focuses on the flow of the network, the “who,” “what,” and “when” of network transactions. Flow analysis tools are based on a technology that provides insights about who is communicating with whom, with which devices or end-points, and which protocol. It gives you a lot of visibility of your network’s traffic without the added weight of a packet analysis tool. It makes it easier to dig into certain conversations, giving you a fast and efficient way to understand what type of traffic is traversing the network. Also, since this data is so light, you can store it for as long as you want, and network forensics and security monitoring tools can make use of it to monitor and alert for traffic abnormalities. ProfiSight is Profitap's Network Traffic Analyzer, specially built to give you fast visibility into the traffic that matters. What does that mean? Its accurate insights about your network bandwidth utilization, application usage and statistics, LAN, talkers and conversations, performance and errors, or user activity will tell you how your network resources are allocated and used in real-time. Basically, it's a network monitoring tool that tracks the flow of applications and key services over all areas of the network — devices, servers, link connections — and offers insights into network bandwidth utilization, helping you adjust resources for optimal performance. It's optimized for fast indexing and has the ability to filter large amounts of network traffic, improving your monitoring workflow and saving valuable troubleshooting time. All its dashboards support flexible user queries by fields and timestamps to allow a faster analysis of the problems. 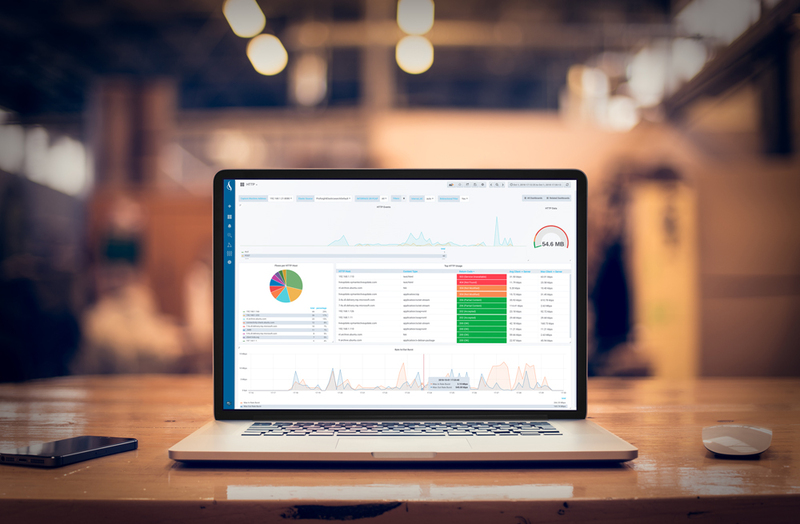 ProfiSight covers a large array of network troubleshooting indicators, designed to help you pinpoint issues or highlight trends that would otherwise pass unnoticed. Moreover, when a deep packet-level analysis of the traffic flow is needed, you can choose to pair it with top packet analyzers (like Wireshark) for multiple visual histograms, graphs and statistics. So, can I use packet analysis and flow analysis together? Yes, you can. As you know, even though flow analysis is perfect for determining traffic statistics overall, it can fall short when you need to analyze a specific issue in depth. For example, in the event of a data breach, you need to be able to quickly understand what or how it happened, and which systems or data sources have been compromised. Packet capture and analysis provides a complete and accurate historical record of network traffic, giving you the means to reconstruct events and dig down to the actual network packets to pinpoint exactly what took place. That's why ProfiSight can be integrated with any of our ProfiShark portable packet capture devices (or any other capture tool of your choice). In this way, it allows for a quick view of the flow data by extracting the metadata of a captured packet stream. This can help you get an overview of the main talkers in a few clicks and determine if they are a security or performance issue. When combined with our portable packet capture devices, you can capture every packet on the line and get a complete overview of the network for in-depth analysis. Also, you can easily connect to your ProfiShark remotely so that you can track down network issues anywhere, anytime. The benefits of a network traffic analyzer paired with the deep-dive of a packet capture device are multiple, but one of them is that you can reduce the load that a packet capture requires while still providing the raw data when you need it. Time is essential in most of the cases, and pairing these tools will help you spot network issues in minutes rather than in hours or days. 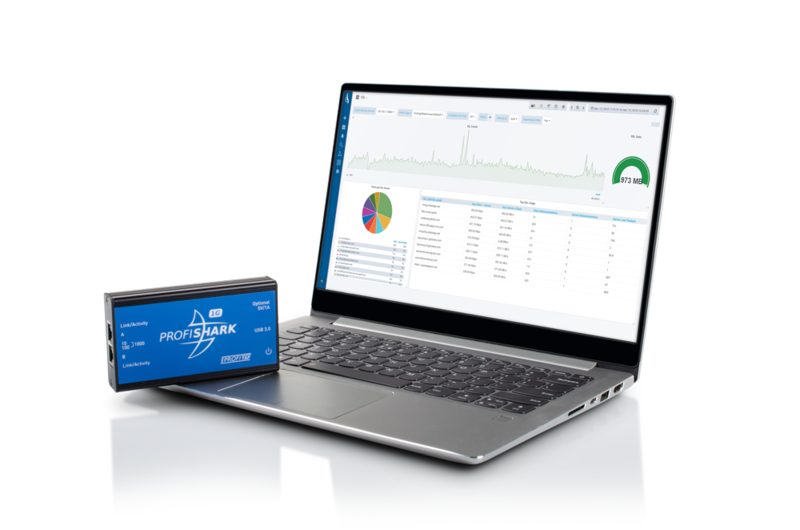 These are only some of the most important benefits of using a network traffic analyzer like ProfiSight. Stay tuned for more articles to come about network analysis and use case scenarios directly from top network experts.